Lou Pote saved my life. Without Lou Pote no one would have accused me of burying the lead ... the only talk would be surrounding my Celebration of Life. Granted Lou Pote had help from other fast-acting responders. Would it be Remo Cardinale (Thornhill, Ont. ), Wyoming’s Tracy Ringolsby or Atlanta’s Mike Adundel speaking lead off? I was the guest speaker at the Okotoks Dawgs 11th annual banquet on Saturday Feb. 2, inside the Foothills Centennial Centre. I apologized for my cold, and raspy throat, but my voice was better than the day before. I explained how friends had made all kinds of suggestions - whisky, tea, green tea even a vanilla milkshake. Whisky didn’t work 49 years ago the last time I tried it; I don’t drink tea and while I tried the shake, it didn’t help. Dawgs webcaster Jon Hodgson suggested taking sips of vinegar. That helped a little. I told an old golf joke about MC William Gardner, a corny joke about Dawgs founding director John Ircandia and then was about to give a message to the players, walking left to right on stage. I stopped and sat on a chair I had brought up for later use. I recall thinking “Man, I don’t feel so good.” They later said I whispered it into my collar mike. And then in this peaceful evening all hell broke loose as Lou Pote saved my life. I was told by people that I slid off the chair but did not fall off the stage. Then, the Dawgs sprang into action as if they had been doing dry runs. _ Dawgs’ photographer Angela Burger (Calgary, Alta. ), put her camera equipment on the stage -- the same lens she’d used to take a picture of my pal Jon Hodgson an hour before the banquet began. Angela raced back stage looking for the defibrillator, couldn’t find one, returned and began CPR on my chest. _ Dawgs’ athletic therapist Savannah Blakley (Okotoks, Alta. ), headed for the stage like a blitzing cornerback on second and long, arrived next. “Ì was hoping someone else knew CPR, but the seas parted, so I thought, ‘OK, I guess it is me.” Savannah assessed the vitals and proceeded to do mouth-to-mouth. _ Emerson Frostad (Calgary, Alta. ), an original Dawg who reached triple-A in both the Texas Rangers and Houston Astros organizations, had been one table behind me during the meal. Frostad was as quick as Wyatt Earp, jumping out of his seat with 9-1 already dialed on the 9-1-1 number. Sean Orman and Frostad made sure I didn’t fall to the foor. _ Meanwhile Dawgs’ coach Allan Cox and Tanner Strangway (Okotoks, Alta.) headed next door to the Parson Centennial Arena searching for the defibrillator at the hockey rink and to ask paramedics to come next door. _ Lou Pote? He raced to the back of the hall, grabbed the defibrillator hanging in the hallway outside the room and headed to the stage. “I’ve never seen Lou move that fast,” Savannah would say later. Pote noticed the [AED] machine when he walked in since looking for machine had become second nature to Pote. He and Dawgs coaches took first aid certification in November. He also noticed something when I sat in the chair. Pote gave the defibrillator to Savannah, who passed it on stage to Angela. They ripped off my shirt, removed my tie and glasses. One patch was affixed to my chest, the other below my ribs. Angela tore the strips off the new batteries in the machine. First try on my stilled heart. It began to beat again. But I was not making much sense and after a while they tell me I started to fade. _ Geoff Scott of the Okotoks Fire Department arrived -- 90 seconds after the first 9-1-1 call if you are scoring at home. He was at the rink next door watching his son Caden Scott skate for minor midget Okotoks Oilers. The game had just ended, fireman Scott walked outside and the call came. He was asked to respond to a 9 Echo: no pulse, not breathing. “Holy smokes,” he remembers thinking. “That’s right here.” He drove next door to the hall and Okotoks Mayor Bill Robertson was there to meet him. After Scott zapped me he talked to me “to try to calm me down.” Then, Scott’s partner Christopher Brown arrived, rushing over from the fire hall. The High River EMS arrived, brought in a stretcher loaded me up and took me to the ambulance. Meanwhile, coaches were outside holding up post-game traffic, so the ambulance would have a clear path out of the parking lot. “Look, we could have done CPR as well and as long as we wanted but it was the defibrillator which saved you,” Savannah said. Firemen Kyle Wright and Kim Houghton responded as well along Pat MacIsaac, Okotoks deputy fire chief. MacIsaac’s brother-in-law, Bob Paradine (Binscarth, Man.) is in the Manitoba Baseball Hall of Fame. Paradine played with the Binscarth Orioles in the Manitoba Senior League from 1981-1990. “I’m proud of our department, especially the way Geoff came in alone as a single responder and worked effectively,” MacIsaac said, “but I am extremely proud of all the Dawgs people. It’s one thing to call 9-1-1, but it’s obvious that these people all had training and they were not intimidated by the situation. With the Angels Lou Pote picked up six saves in the majors — and one in Okotoks. His first was Sept. 29, 1999 in a 7-4 Angels win over the Oakland Athletics as he saved the victory for Shigetoshi Hasegawa, retiring Ramon Hernandez, Eric Chavez and Miguel Tejada in order. His second came the next day as Anaheim edged Oakland 5-4, saving a 10th win for Mark Petkovsek, as he retired Miguel Tejada, Ben Grieve and Rich Becker, who singled and was thrown out going to second. And No. 3 came the final day of the season, as he recorded the final out in a 1-0 win over the Texas Rangers, as Jarrod Washburn gained the win. Pote came on to face Hall of Famer Ivan Rodriguez, threw a 0-2 wild pitch and then retired Rodriguez on a ground ball. The next year, Sept. 29, 2000, he picked up a three-inning save in a 9-3 win over the Seattle Mariners. Pote saved Ramon Ortiz’s eighth win pitching three innings and allowing one base runner (a single to Hall of Famer Rickey Henderson) while fanning a pair (Alex Rodriguez and Jay Buhner). The next year he picked up another three-inning save on July 8, 2001 as the Angels beat the Colorado Rockies11-3. Pote worked three scoreless, hitless innings. He made sure Pat Rapp registered the win, striking out Adam Melhuse and Todd Helton. His sixth and final save -- in uniform -- came 15 days later. Another three-inning save as he worked three scoreless in the Angels 9-4 win against the Baltimore Orioles at Camden Yards. He allowed three hits in what was a bullpen day for the Angels with Scott Schoeneweis starting and Ben Weber gaining the win. His seventh and biggest on my card came inside the friendly confines of the Foothills Centennial Centre. He saved a man’s life. “I believe in things happening for a reason,” Pote asked, just as my friend Gordon Hamilton used to say in Ottawa. I used to think that statement was a con, but years ago I had come around to agreeing to the statement. I grew up with Eddie Mathews as my favourite player since 1957. Still, if something bad was ever to emerge about my hero third baseman with the Milwaukee Brewers and 512 career home run, I had back-up plans. Like maybe Andre Dawson or Jerry White. Or possibly Larry Walker or Joey Votto. Or Tom Glavine and Chipper Jones. Or Jays stalwarts George Bell, Roy Halladay or Jose Bautista. Sorry Edwin Lee Mathews and I apologize to the others, who were all engaging talk to and exciting to watch. Lou Pote, who grew up in Evergreen Park, Ill. and was a 29th round pick of the the San Francisco Giants in the 1990 draft from Kishwaukee College has jumped the queue. He’s is my new favourite No. 1. How do you repay someone who has saved your life? You think about a lot of things lying in a hospital room when you have yet to phone Lou Pote for fear of becoming too emotional. How does one man replay a man for saving his life. I can’t get him a tryout? Whitey Ford Day was held Saturday, Sept. 9, 1961 at Yankee Stadium. Ford was feted with a number of gifts while all monies raised were given to charity. The final gift was an equipment truck whhich rolled in from the outfield. It carried a replica of a huge package of Life Savers. When the truck reached home plate out popped reliever Luis Arroyo. He gave Joan and Whitey Ford gold and Chinese jade jewelry.. The 5-foot-8 lefty went 15-5 with a 2.19 ERA and a then-record 29 saves. How about climbing into a similar fake tube of Life Savers and emerging on opening day next season. What about writing all the time about Erin and Lou Pote’s three children as a pay back? Not needed. Plenty will be written about them. Pote met Erin when pitching for the triple-A Edmonton Trappers in 1999. They purchased a home in Chandler, Az. when Pote was with the Angels and moved to Sherwood Park, Alta. in 2007. John Ircandia hired Pote five years ago. Conor pitched at the bantam nationals in Oshawa last year after Parkland Twins of Spruce Grove won provincials. He could head to Oshawa this summer. His best game last season was pitching six innings to beat the Victoria Eagles in the Okotoks bantam tourney semi-final. A 6-foot-6 180-pounder, Conor excels on the court. One recent game against St. Francis Assissi the game was on the way to an 81-5 outcome when they turned the scoreboard off. Younger brother Owen a 5-foot-11, grade 8 student is a member of the same hoops team which his not lost in two years. 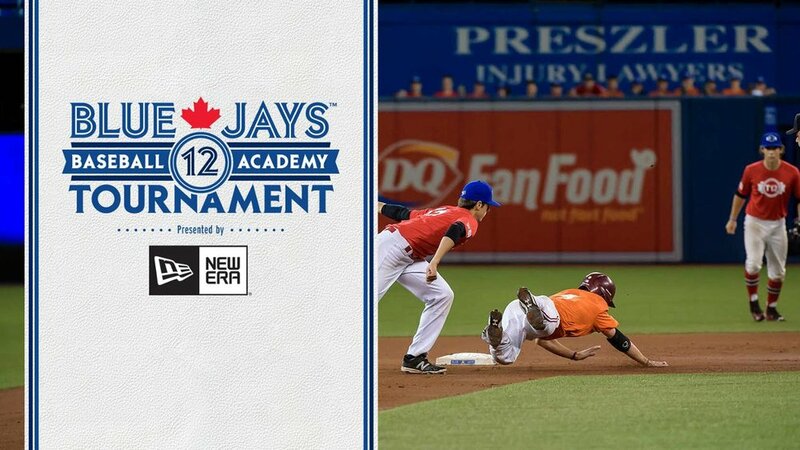 He plays U15 and is prepping for next week’s grade league semi-final and pro workout day. Dane, the youngest, is in grade 6 and at 5-foot-5 also shoots hoops. It makes for busy driving schedules for Erin and Lou getting everyone to practice and games on time. Lots will be written about them. The group Alabama had a hit song a few years ago “Angels Among Us,” almost a gospel-like clarity. It has become such a standard it’s played every Christmas season. _ Like Gene Autry, who we’d meet sometimes leaving the Pink Pony iin Scottsdale. He’d always ask “Think Pat Gillick will ever leave your beautiful city?” and then he would talk about playing the “Fair,” which we always guessed was the CNE. I always listened to the Cowboy and cried when the Angels won after he’d passed. _ Or 3B Troy Glaus, acquired by the Blue Jays in a trade before the 2006 season. We heard Glaus had visited Andrew Alfaro, 10, who grew up in Anaheim wanting to be the next Troy Glaus in 2004 but was hospitalized battling leukemia. Like millions of ball fans each year, Andrew wrote a letter. His father, Julio, typed it up, Andrew signed it and then Julio dropped it off at Edison International Stadium, home of the Angels. Andrew wanted an autographed ball. No answer came. A BMW salesman in Irvine, Calif., Juilo mentioned it to his supervisor. Phone calls were made. Tim Mead phoned re-habbiing Glaus in Arizona and asked if he’d sign something for young Andrew. Glaus said, “I’ll go to the hospital when I get back.” Glaus’ cousin, Wesley Glaus, died of leukemia at roughly the same age. As the Hollywood script unfolded Glaus hit a solo homer off Chan Ho Park. Andrew was on a list for a bone marrow transplant but when his turn came he was too weak. He died at 9:40 p.m. on Jan. 9, 2005. We phoned Maria Alfaro at home in Anaheim: What was the date Glaus visited the hospital? Just a second she said. We thought Maria had gone to look up her date book. Instead, she said, “Did you hear it?” We heard: “I love you mommy, Mr. Troy Glaus arrived at the hospital July 29, 2004.” It was the voice of the late Andrew on a tape recording. Maria explained that Andrew has seen friends pass so he began to leave his parents “I love you” notes hidden around the house and tape recordings. It took a few seconds before we could gulp and mumble an answer after listening to Andrew’s voice. _ Alfredo Grriffin. Griffin was a Blue Jay and nicknamed “The King” by Robbie Alomar. The Jays didn’t like Bob Bailor coaching first because he didn’t argue. They hired Griffin and didn’t like it because he spread his arms with the safe signal when the runner was out by five feet. It was Griffin who noticed Dusty Baker calling back Russ Ortiz to give him the game ball in the seventh inning of Game 6 with the Giants leading 5-0 and two men aboard with San Fran eight outs away from the World Series title. “This isn’t over!” Griffin yelled. The Angel dugout was on its feet and then jumping for joy as Scott Spiezio hit a 3-2 pitch from Felix Rodriguez for a three-run homer. Glaus hit a two-run double in the eighth and the Anaheim forced Game 7 which they won. _ Jim Fregosi managed the Blue Jays. He managed the Phillies, which in 1993 is where I got to know him. That fall the paper had a readership contest and I won. I asked for a raise. Instead I had to pose for pictures with the “Bob’s Your Uncle” add on bus stops and street cars. During the World Series I’d hear this high-pitched voice yell “Hey Cover Boy,” turn and not know who was calling me. It was not until Game 5 that I realized it was Fregosi, former teammate of my favourite manager Buck Rodgers. “OK Elijah, next time you watch the Angels on TV you can see Mr. Fregosi’s picture on the outfield wall, he is in the Angels Hall of Fame, his No. 11 has been retired, he was a six time all-star, won a Gold Glove, was the franchise leader in triples and is regarded as one of the best players -- along with Barry Bonds -- from Serra High School in San Mateo, Calif.
_ Bill Stoneman, former president of the Angels. He and I would talk in Toronto or on the coast and Angels writers would be ask what I had done to make him smile or laugh. Usually we were talking about John Bocabella, Youppi or something from the 1980s when he worked in the Expos front office. In 1971, he faced Giants ace Juan Marichal. It was scoreless entering the bottom of the ninth. Stoneman retired the first out of the ninth, then Al Gallagher singled, Marichal doubled, Tito Fuentes singled and Stoneman walked off the mound. On the bus Stoneman sat with roomie, Jim Britton. They talked about heading across the street from the team hotel to a saloon called Tommy’s Joint. Tommy’s had a huge international beer selection. One teammate suggested after a loss like that the two not leave until sampling a beer from every country in the world. With the Expos, Stoneman would take his University of Idaho Beta Theta Pi frat brothers in the Bay Area to Candlestick for an afternoon game and then a restaurant afterwards. Stoneman called either Giants GM Brian Sabean or assistant GM Ned Colletti for use of an unsold stadium suite. Everything went smoothly .... until during one day in the 1990s, two San Francisco policeman entered the suite and accused Stoneman’s group of throwing things onto the crowd below. The policeman then cuffed Stoneman and walked him out of the box and down the concourse. Stoneman spotted Sabean and Colletti hiding around a corner ... doubled over in laughter. A couple of years ago when Gregg Zaun was the speaker -- he went the distance -- Pote, Zaun and I had lunch together. Friday night Pote and I stood with injured Colby Trojans’ Tyler McWillie (Watrous, Sask.) watching peewee and bantams pitch into a net. Lou Pote would take a video of the last five pitches. During a break I asked him the percentage of pitching is mental makeup at this age. He said it was a large part of the game and mound presence. A hard-throwing lefty opened up a little early and his pitch sailed wide into the back of the batting cage. His body reaction was if he’d given up a bomb in extras at the provincials. I asked the boy if he thought the guy would have scored on his wild toss. Each December we pick the most annual top 100 most influential Canadians in baseball. Good luck to you Alex Anthopoulous (Monteal, Que.) and to you Joey Votto (Etobicoke, Ont.) with the Atlanta Braves and the Cincinnati Reds. 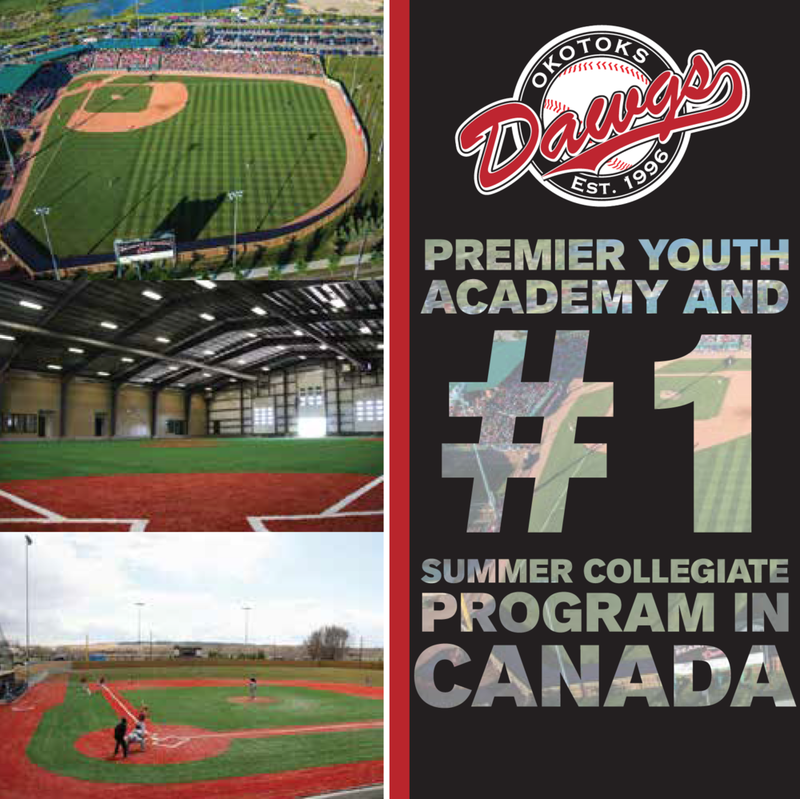 On the 33rd day of the 2019 season Okotoks Dawgs trainer Savannah Blakley, photographer Angela Burger, bantam coach Lou Pote and fireman Geoff Scott showed more influence we’d seen anyone express in our first 69 years.